Ronald Harry Houghton married Virginia Beatrice Peterson. Denise Houghton married Bill Naasz. Bill Naasz married Denise Houghton, daughter of Ronald Harry Houghton and Virginia Beatrice Peterson. Virginia Beatrice Peterson married Ronald Harry Houghton, son of Walter D. Houghton and Louise Johnson. 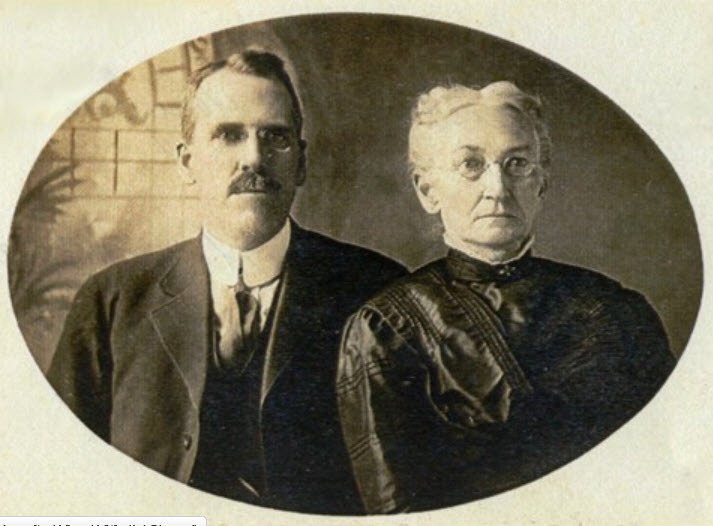 Walter D. Houghton married Louise Johnson. Louise Johnson married Walter D. Houghton, son of David Edgar Houghton and Helen R. Cameron. Sandy Brickey married Ron Balboni. Wanda Estella Tompkins married Delmer Charles Markle, son of Charles Markle and Eva Belle Houghton. Robert Houghton married Janet Sharp in circa 1894 both age 24 (1930 census), age 16 (1910 census); mar 16 y in 1910 census. Thomas Lenard Houghton married Elizabeth E. Harlan in circa 1921 age 25 and 19 at first mar. Robert Norman Houghton married Rose Alvina Carlson in circa 1927 age 21 and 24. Raymond P. Houghton married Stata L. Veltman in Jan 3, 1970 at Los Angeles Co., CA, USA. Evelyn Ruth Houghton married (?) Graham. Ralph Hunt Houghton Jr. married Audree Adell Armitage in Mar 2, 1974 at Detroit, Wayne Co., MI, USA. Ralph Hunt Houghton Sr married Mary Louise Stevens in Oct 15, 1938 at Detroit, Wayne Co., MI, USA. Dr. Elijah Mark Houghton M.D., Ph. C.
Notable was an internationally known director of medical research and biological labs of Parke, Davis & Co.
Dr. Elijah Mark Houghton M.D., Ph. C. married Jennie Zurviah Hunt in Aug 23, 1892 at Antwerp, Jefferson Co., NY, USA, age 25 and 24. Dr. Elijah Mark Houghton M.D., Ph. C. married Alice Maude Whitehead, daughter of (?) Whitehead, in Apr 6, 1936. Jennie Zurviah Hunt married Dr. Elijah Mark Houghton M.D., Ph. C., son of William Houghton and Harriet Cornelia Simons, in Aug 23, 1892 at Antwerp, Jefferson Co., NY, USA, age 25 and 24. Ralph Oliver Houghton married Eva Frances Hunt in Oct 15, 1909 at Weymouth, Norfolk Co., MA, USA, he 22, she 19. Grace Lillian Houghton married Jerome Augustus Gallant in Oct 17, 1927. Gail Lynn Gallant married (?) Sundberg.